Spartan 1 Glass Door Merchandiser, model SGM-10RV. 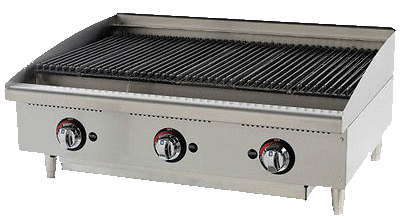 21.75" W x 21.75" D x 63" H, 10 cubic feet capacity. 120 volts, 1 year mfg warranty (additional 4 years on the compressor). Ask for a shipping quote. True Glass Door Cooler, model GDM-12. 24 7/8" wide, 62 3/8" height, 23 1/8" deep. Includes 3 shelves. 115 volts, 3 year parts & labor warranty (additional 2 years on the compressor). Free shipping to the southeast US, otherwise ask for a shipping quote. True Glass Door Cooler, model GDM-19T. 27" wide, 78 5/8" height, 24 7/8" deep. Includes 4 shelves. 115 volts, 3 year parts & labor warranty (additional 2 years on the compressor). Free freight to GA, AL, FL, TN, NC & SC. Otherwise, ask for a shipping quote. True Glass Door Cooler, model GDM-23. 27" wide, 78 5/8" height, 29 7/8" deep. Includes 4 shelves. 115 volts, 3 year parts & labor warranty (additional 2 years on the compressor). Free shipping to the southeast US, otherwise ask for a shipping quote. True Glass Door Cooler, model GDM-26. 30" wide, 78 5/8" height, 29 7/8" deep. Includes 4 shelves. 115 volts, 3 year parts & labor warranty (additional 2 years on the compressor). Free shipping to the southeast US, otherwise ask for a shipping quote. True 2 Sliding Glass Door Cooler, model GDM-33. 39 1/2" wide, 78 5/8" height, 29 7/8" deep. Includes 8 shelves. 115 volts, 3 year parts & labor warranty (additional 2 years on the compressor). Free shipping to the southeast US, otherwise ask for a shipping quote. True 2 Glass Swing Door Cooler, model GDM-35. 39 1/2" wide, 78 5/8" height, 29 7/8" deep. Includes 8 shelves. 115 volts, 3 year parts & labor warranty (additional 2 years on the compressor). Free shipping to the southeast US, otherwise ask for a shipping quote. True 2 Glass Sliding Door Cooler, model GDM-37. 43 1/2" wide, 78 5/8" height, 29 5/8" deep. Includes 8 shelves. 115 volts, 3 year parts & labor warranty (additional 2 years on the compressor). Free freight to GA, AL, FL, TN, NC & SC. Otherwise, ask for a shipping quote. 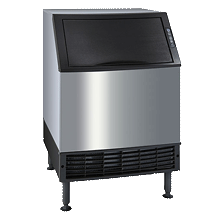 True 2 Sliding Glass Door Cooler, model GMD-41. 47 1/8" wide, 78 5/8" height, 29 5/8" deep. Includes 8 shelves. 115 volts, 3 year parts & labor warranty (additional 2 years on the compressor). Free shipping to the southeast US, otherwise ask for a shipping quote. 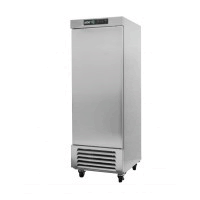 True 2 Glass Swing Door Cooler, model GDM-43. 47 1/8" wide, 78 5/8" height, 29 7/8" deep. Includes 8 shelves. 115 volts, 3 year parts & labor warranty (additional 2 years on the compressor). Free freight to GA, AL, FL, TN, NC & SC. Otherwise, ask for a shipping quote.